Survivor: Philippines (2012) - 18th place, 1st out. Voted out in Episode 1, "Survivor Smacked Me in the Chops" (Day 3). Philippines Ep. 1 RC/IC: "Share the Wealth" - Does running stage, Matsing loses (3rd/3). Philippines, Ep. 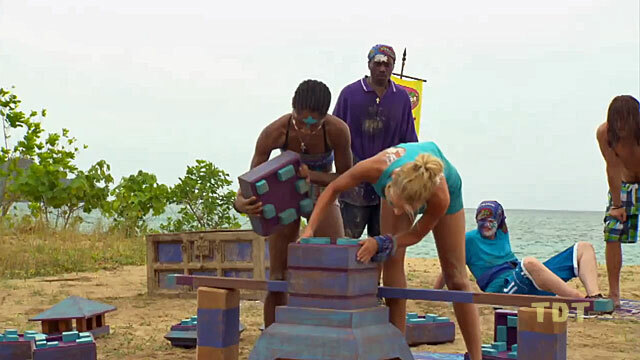 1: Five votes, from Malcolm, Roxy, Angie, Denise, Russell (voted out, 5-1). Gordon Holmes at XfinityTV.com (8/31/12): "Survivor: Philippines Pre-Game Interview: Zane Knight"
Rob Cesternino at RobHasAPodcast (9/20/12): "Zane Knight on Being the First Boot of Survivor Philippines"
Gordon Holmes at XfinityTV.com (9/20/12): "Survivor Castaway Zane Knight: ‘I Thought I Had it Locked’"
Daniel Fienberg at HitFix.com (9/22/12): "Zane Knight Talks Survivor: Philippines"
Why You Think You’ll 'Survive' Survivor: I believe I can come into this game and make everybody work for me till I don’t need them anymore. I can be sweet like Boston Rob, a non-threatening like Cochran, crazy like Phillip or a snake like Russell. I am a million dollars. Why You Think You Will Be the Sole Survivor: I know I will be the final Survivor because I have the gift of gab. I’m very outgoing and can have a conversation with the President or a crack head. I was made for this game!" 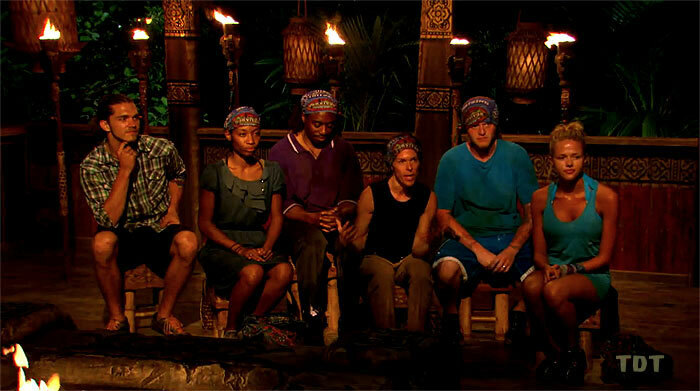 "While most new players profess their love for Boston Rob, Russell, Parvati, or Ozzy, Zane has a different Survivor hero...Brandon? 'I love that kid, man,' says Zane. 'That's the kind of player I am!' So wait, you'd give up your immunity at Tribal Council, even if it meant they might vote you out? 'Oh, yes, sir. In a heartbeat.' Ladies and gentlemen, my first Survivor: Philippines prediction: Zane Knight will not win this game."